The 2016 Omega European Masters golf tournament on the European Tour is taking place this week from September 1-4, 2016, at the Crans-Sur-Sierre golf course located at the Crans-Montana ski resort in southwestern Switzerland. Here is a list of the prize money up for grabs for the European Tour players to win at the 2016 Omega European Masters. The Omega European Masters golf tournament dates back to 1905 and this tournament became a European Tour event in 1972. Seve Ballesteros holds the record for most wins with three. American David Lipsky became the first player from the United States to win this event in 2014. Of note, Americans Bryson DeChambeau and Stewart Cink are both playing in the 2016 Omega European Masters. Other American players include David Lipsky, Paul Peterson (won the Czech Masters on August 21st) and Jason Knutzon. The total prize money up for grabs at the 2016 Omega European Masters event is $3.02 million. All prize money for the 2016 Omega European Masters golf tournament has been converted from Euros to American dollars at the current exchange rate of 1.12. 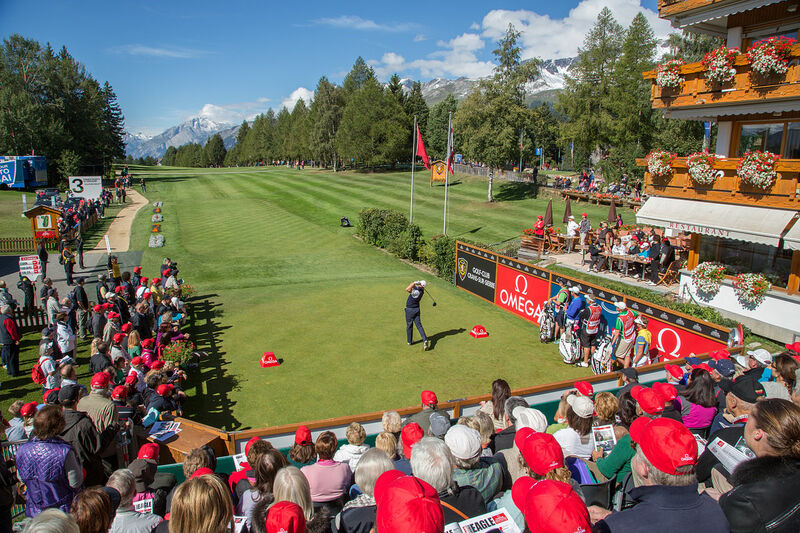 The winner of the 2016 Omega European Masters golf tournament will earn $502,560. 2016 Masters winner Danny Willett was the winner of this European Tour event last year. Danny Willett is here playing this week to defend his title. Second place at the Omega European Masters is worth $335,020. Future golf star Matthew Fitzpatrick from England finished alone in 2nd place in this tournament last year. Third place is worth $188,762 at the 2016 Omega European Masters. Tyrrell Hatton from England finished alone in 3rd place here last year. Fourth place at the 2016 Omega European Masters is worth $150,768. Pelle Edberg from Sweden finished alone in 4th place here last year. Anirban Lahiri from India finished alone in 5th place here last year. Sergio Garcia was alone in 6th place last year and that's notable because Sergio Garcia owns a home at the Crans-Montana resort where the Omega European Masters is played. Sergio won this event in 2005. Adam Scott also owns a home at this ski and golf resort in Switzerland.